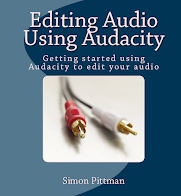 This version is no longer available - click here for details on our latest version! 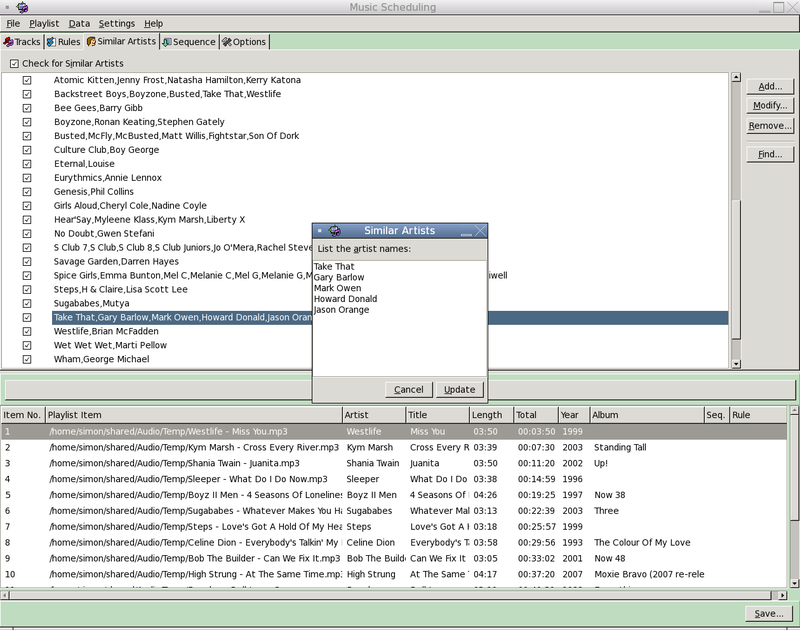 Music Scheduling helps you to easily and quickly create audio playlists. 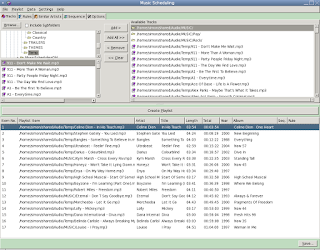 Unlike the shuffle feature found in many audio applications, you can set the spacing between artists and songs, create rules and more, resulting in a professionally created playlist. 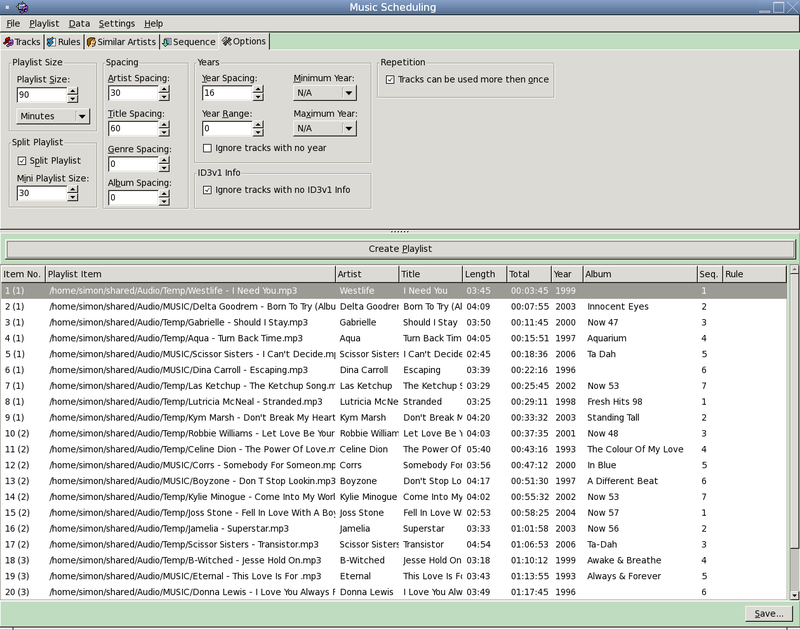 The software can save you a significant amount of time – instead of spending hours putting together a playlist, you can have a playlist within a few seconds. Set spacing between the same artists, years and more. Identify similar artists (e.g. ensuring Robbie Williams and Take That are treated as the same artist when creating a playlist). 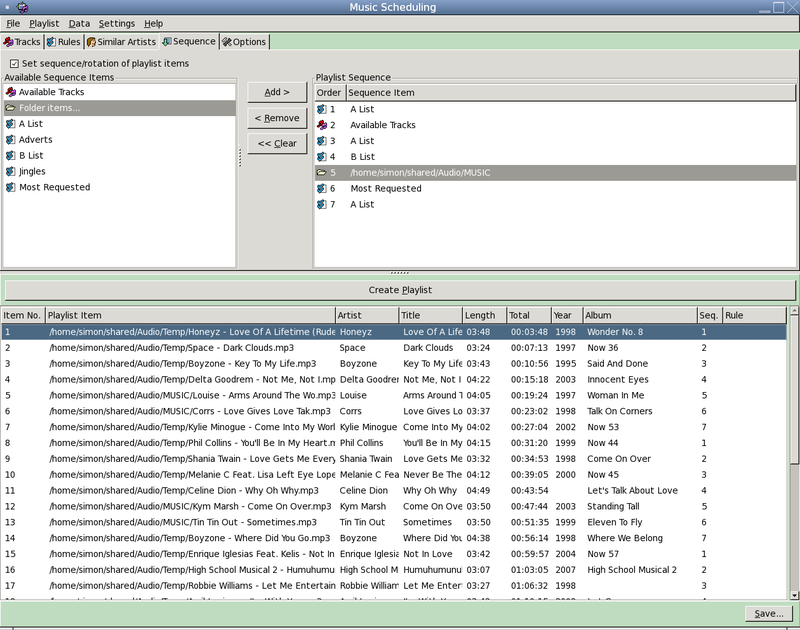 Set the sequence/rotation of playlist items. Schedule items to be added at particular intervals. Ideal for creating off air playlists, putting together songs for a show, creating a music playlist for public areas/waiting rooms, clubs and more. 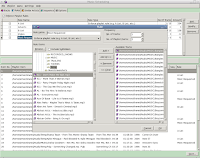 Playlists can be created for Library Player, and other audio/playout applications that support the PLS or M3U playlist file formats. 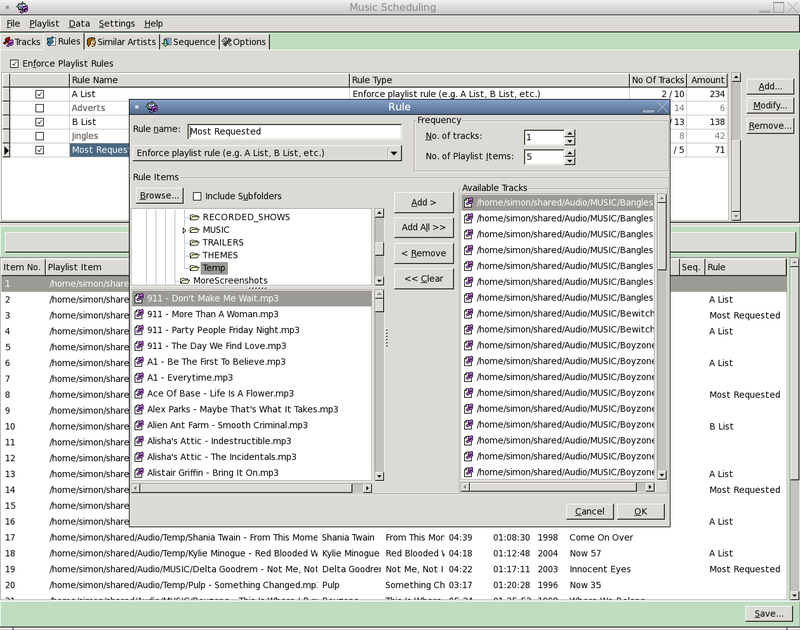 Version 2 includes the option to set playlist lengths in minutes, add folders (in addition to files) to available tracks, setting the sequence/rotation of playlist items, the option to use tracks more than once in a playlist, and various bug fixes/minor improvements. Includes 6 months product support/updates. A free, no obligation 30 day trial edition is available to download.